Take outdoor living to a whole new level of comfort in the privacy of your own home. Pair a gorgeous sterling silver acrylic shell with beautifully colored smoked cabinet panels and you have a spa that friends and family will envy for years. The GEN-II Collection from Cal Spas combines classic design, cutting-edge technology, and value while delivering a total body hydrotherapy experience without sacrificing style. 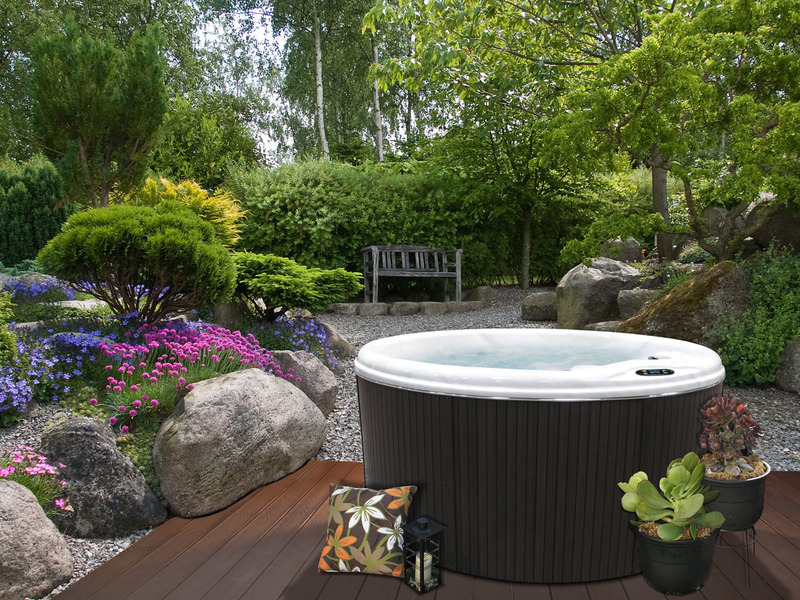 Designed to exceed expectations, Cal Spas™ uses a patented 7-layer laminate system, known as Fibersteel™ Construction, and sets the bar with strict standards in efficiency, insulation and filtration resulting in better spa performance, better water circulation, cleaner water, and lower energy bills. Visit your local authorized Cal Spas dealer today and experience the beauty and power of the GEN-II collection by Cal Spas. The price of this spa will truly amaze you. Cal Spas Offers the Most Powerful Dually™ Pump System in the Industry!